Did you remember…that Apple’s Event is in September? *Read this in the tune of Earth, Wind, and Fire “September”* But seriously, today was the day! Apple held it’s highly anticipated fall keynote where new iPhones are typically announced, but enough of this let’s get into the good stuff! 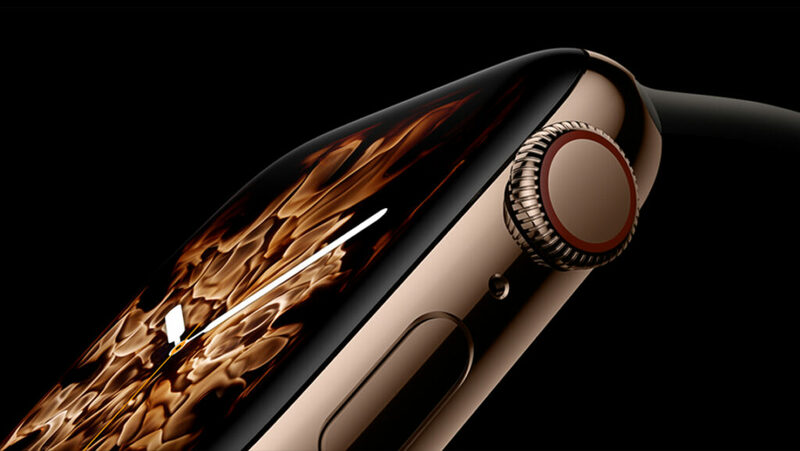 First out the gate following an Mission Impossible style intro that resulted in a reveal of “the clicker” and a few stats about Apple Watch, was Apple Watch series 4. Now of course if you’ve already invested in an Apple Watch you’re anticipating the next iteration and new features. On the technical/hardware tip, Apple Watch Series 4 has a larger screen, louder speaker, and S4 64-bit dual core chip, so it’s faster. It comes in two sizes 40mm and 44mm. The back is made of black ceramic and sapphire crystal to allow for improved cellular service. The Digital Crown (the switch on the side of most watches) has been improved with haptic feedback to give it more of a traditional watch feel. Now while these are all great features, in terms of looks and styling, the new features in terms of health got me excited. Of course out the gate and at the heart of the Apple Watch it’s main focus and biggest point is health, I mean they have a partnership with Nike. But the new Series 4 Apple Watch will be able to check your heart rate for irregularities. Like that’s a major thing, especially since heart issues are commonly referred to as “silent killers”. 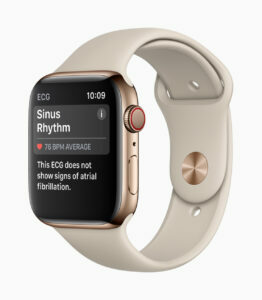 You can also perform an Electrocardiogram (ECG) from the watch to check for AFib (Atrial Fibrillation). 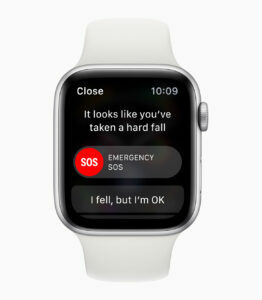 It also has the ability to detect if you’ve fallen, and if you’re immobile for a minute it can make an emergency call. The Apple Watch Series 4 will be available to pre-order this Friday September 14th, and will ship and be in stores September 21. 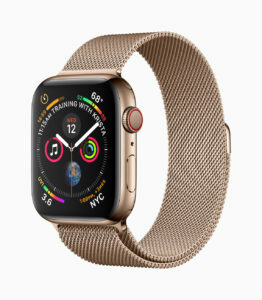 Oh and it comes in this beautiful new gold stainless steel, in addition to the silver, space grey, and gold finishes. Apple Watch Series 4 w/GPS starts at $399, and Apple Watch Series 4 w/GPS + Cellular starts at $499. Series 3 Apple Watches will still be available at lower starting price of $279. Of course we all knew there was going to be an iPhone announcement, but we got 3 of them!! So let’s start off with the iPhone XS and the iPhone XS Max. There’s a clear distinction between the two..did you not catch the Max on the end of the other one? So the most obvious and probably the only real major distinction between these two is *drum roll* screen size! 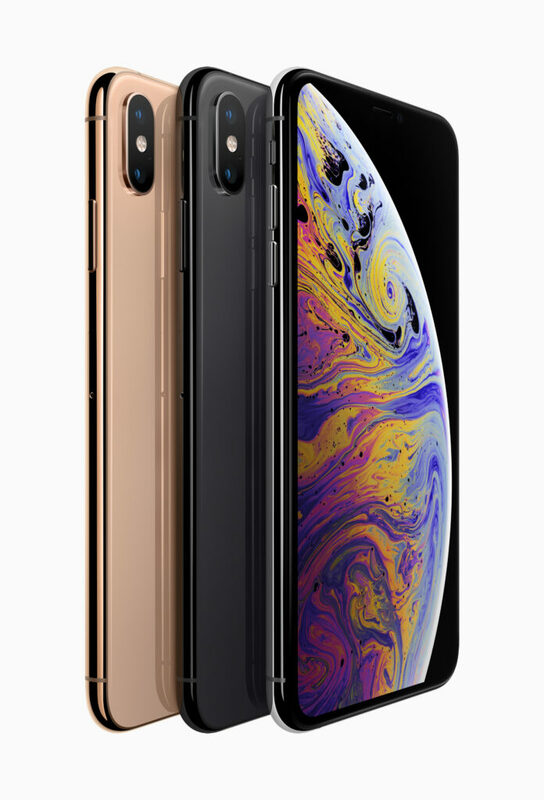 The iPhone XS has a 5.8″ screen and the iPhone XS Max has a 6.5″ screen. So what do both of these phones come packed with? Edge to Edge Super Retina displays, the highest pixel density of any Apple device. They’re both front and back glass, but Apple promises it’s more durable, with improved scratch resistance. It’s also water resistant up to 2 meters for 30 minutes (so don’t take it deep sea diving lol) but you don’t have to worry about spilling your tea or coffee on it. I’m sure of you are spilling tea anyway just not on your phones. 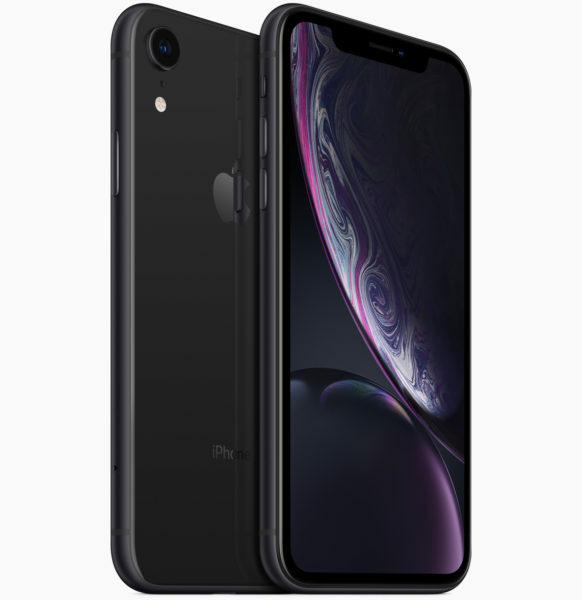 The XS iPhones both are packed with the A12 Bionic chip, that boasts a 6 core fusion architecture, four core GPU and a Neural engine. This new Neural engine literally blows the possibilities wide open for technology on the iPhone. Machine learning, graphics, gaming, and AR. 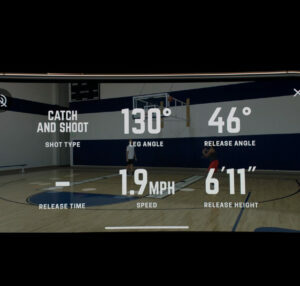 Speaking of…Steve Nash was apart of the Apple Keynote and helped demo an app HomeCourt. It tracks the real time stats and insights on players as they’re training. Like the release angle, the height, the speed, how may shots made versus how many attempted. All of this is done on the phone, no sensors on the person or anything. But back to the other nuts and bolts of iPhone XS models. They have dual 12MP cameras, and with the neural engine technology you get Smart HDR, Portait mode is better, you can even adjust the depth of the photos after it’s taken. Seriously at this point the cameras have no choice but to improve, because after the iPhone X and before that, the introduction of Portrait Mode, we just can’t go back. Oh and did I mention that these bad boys will have dual SIM support?? You can have two numbers on one device! This is done through one physical SIM and an eSIM. 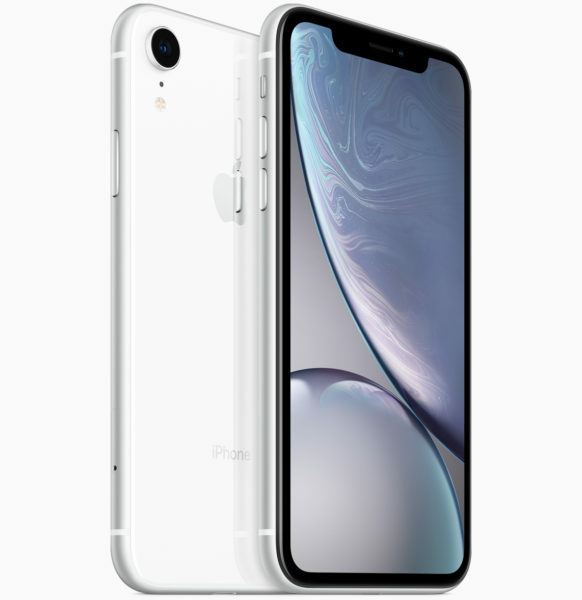 The iPhone XS and the iPhone XS Max come in…oh wait there was one more thing I was supposed to share with you…the iPhone XS and the iPhone XS Max comes in 512GB storage capacity. Yes that’s a half a terabyte of storage..on….your..phone. There are laptops without that much storage. But they also come in 64GB and 256GB if you’re not into all that free space. 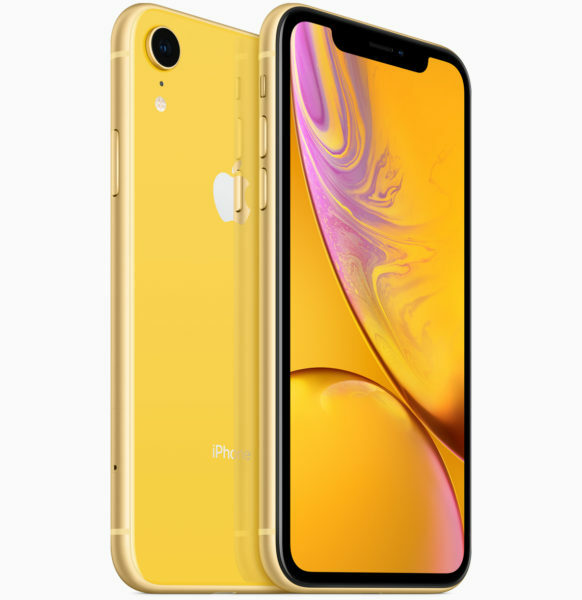 The iPhone XS starts $999 and the iPhone XS Max starts at $1099, pre-order will be available this Friday September 14th and availability September 21st. They’ll be available in space grey, silver and gold. I did say there were 3 iPhones announced today right? 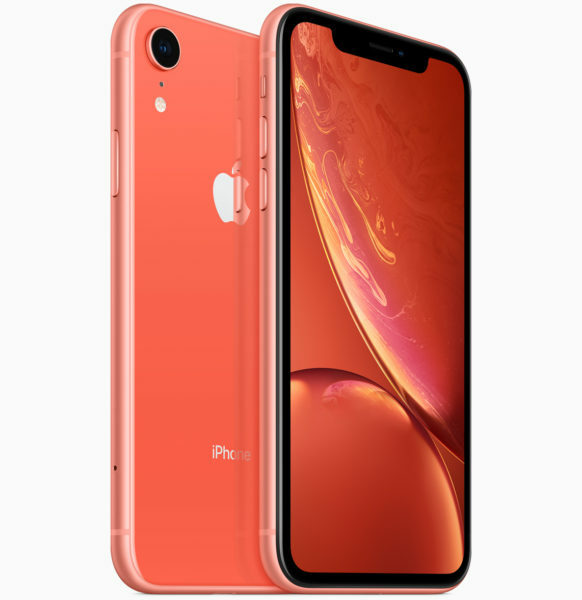 Apple also announced the iPhone XR. So here’s a funny fact, the screen on the XR is larger the XS (not the XS Max) it’s 6.1″, while the iPhone XR is 5.8″. It has the impressive A12 chip so it’s fast. It also has a edge to edge liquid retina display. It’s not front and glass back but is designed with aluminum and glass. 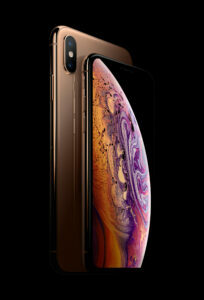 It also has the dual 12MP cameras, which includes Portrait Mode and Portrait Lighting so you’re gonna get great pictures. It also has the TrueDepth camera on the front for FaceID. What’s better about this one, oh it comes in 6 different colors, and it’s cheaper. The iPhone XR comes in white, black, blue, yellow, (PRODUCT)RED, and coral. The starting price is $749 and it comes in 64GB, 128GB, and 256GB storage capacities. You can preorder this October 19th, and it will be available October 26th. All the new iPhones will feature iOS 12 which will be available for download this Monday September 17th. And there you have it folks, that’s all the buzz from today’s Apple Event! Which items are going on your list? New Apple Watch, the iPhone XS Max? Let me know!